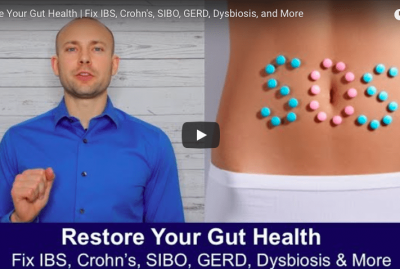 [Video] Foods For Gut Health | These Are Powerful! Learn the top foods for gut health that you should consume on a regular basis if you want to maintain a healthy gut year round. Good foods for gut health is important because so many people are suffering from a gut conditions. Whether it’s Leaky Gut, Celiac, SIBO, or Crohn’s disease, there is an epidemic of people suffering from gut conditions. It is estimated that gastrointestinal cancer will be the number one killer of millennials. Foods for a healthy gut are easier to come across than one might think. The problem is that most people are unaware of these foods and the amazing benefit that they offer. This is why it is important to know about the preferred foods for gut health. Foods to eat for a healthy gut include fermented foods, aloe vera juice, bone broth, collagen, apple cider vinegar, coconut oil, ghee, ginger, and pumpkin seed oil. These foods all have nutrients and compounds that support natural gut healing. If you consume them daily, then you will find that your gut health will increase, but more importantly, that you don’t have gut conditions like so many people suffer from today. The best fermented foods for gut health are simple to make in the comfort of your home. Foods like kimchi, pickles, sauerkraut, or even fermented dairy are all really great. They are loaded with probiotics and offer incredible gut health benefits that should not be overlooked. My wife and I have been making fermented foods in our home for many years. Like I mentioned earlier, they are inexpensive and are incredible foods for gut health. [Video Transcription] Foods For Gut Health | These Are Powerful! 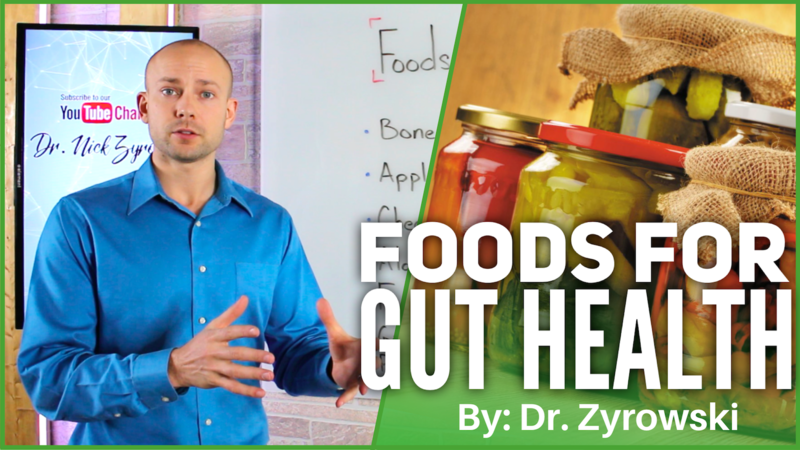 In this video, I’ll uncover the best foods for gut health. Hi, ladies and gentlemen, I’m Dr. Zyrowski and welcome back to the channel. If you’re new to the channel, it is a pleasure to have you here. Be sure to subscribe and hit that bell notification and join our notification community so I can help you excel your health and your life. 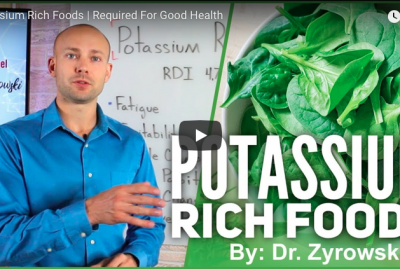 In this video, we’re talking about the foods for gut health. Most people are actually doing the exact opposite of this, constantly eating foods that just break down their gut health, their gut lining, tearing down their level of probiotics in their gut, their digestive enzymes, so on and so forth, driving a lot of inflammation. This is really bad because, first of all, our gut health is absolutely critical for whole body health. Our hormone health is contingent on it, our brain health, our thyroid health. So much of our immune system is contingent on really good gut health. And when we look at gut problems and gut conditions in general, gastrointestinal cancer is supposed to be one of the top killers of millennials in the future. So, if we really want to make sure that we’re improving whole body health, we have to make sure that our gut health is constantly improving on a daily basis and we’re doing the proper things to nurture that. The first food on our list is going to be bone broth and collagen. When we look at the bone broth, it’s very powerful because it actually could help soothe the gut lining, it’s going to help decrease some of the inflammation, but most importantly, it’s going to have the proper building blocks in it in order to actually repair the gut lining. So, that’s why using bone broth is very powerful because it actually contains collagen. It actually contains a lot of the minerals necessary for proper gut health. A couple of things here. When we look at bone broth, you can make it yourself in the comfort of your own home. As a matter of fact, I did a video on that and I’ll put that in the description below. The other thing that you can use is collagen by actually just buying collagen. You can get collagen like collagen peptides. You can put that in your coffee, it’s tasteless, it doesn’t really change the consistency at all. So, collagen is great in many ways as well. So, bone broth and collagen are very powerful. The next is apple cider vinegar. Apple cider vinegar is great for a couple of reasons. One, it’s going to really help balance the pH of the stomach and gastrointestinal tract. And the reason that it’s important for that is because when that pH becomes imbalanced, what happens is that it opens the door for a lot of bacteria to get into the small intestines. And so, what we want to do is use apple cider vinegar to not only work as a mild anti-bacterial, but also keep the pH of the stomach at its proper level so that we don’t have a lot of bacteria that is starting to overgrow and a lot of other issues that can come out of improper pH balance. Next on our list here is ghee. Ghee is powerful because it contains a lot of fat-soluble vitamins and the fat-soluble vitamins are typically the same vitamins that are deficient in those who have gut problems because there becomes a malabsorption issue. So, ghee is great for that and it’s a very healthy fat which is good for the gut lining. The next here is coconut oil. Coconut oil is great because it acts as a very gently anti-fungal, anti-bacterial. 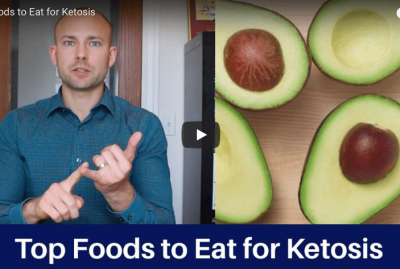 It’ll help get some of that yeast out of your system and coconut oil, once again, is a healthy fat that is important for overall rebuilding of that gut lining so that you can actually get that healed up. Next on our list is aloe vera juice. I put aloe vera juice because you can buy aloe vera as a juice, you can buy it as a supplement, you can actually go and buy the big aloe vera leaves like I used to do. Cut them up and put them in a smoothie and it will likely ruin your whole smoothie because I don’t find the taste of it to be very good. So, aloe vera in general, you can really use in a lot of great ways. I like to stick to aloe vera capsules or using a gut healing powder that has aloe vera in it personally because I don’t like the taste of it. When we look at aloe vera, it’s very, very powerful for decreasing inflammation in the gastrointestinal tract and also working to heal leaky gut. So, using aloe vera is very powerful and highly recommended. Once again, there are a lot of different variables as to how you can use it. Just in general, using it is going to be very powerful. Next on our list is going to be fermented foods. Fermented foods are very important because it’s important to make sure that we get those proper probiotics into our gut. One of both of the benefits and curses of modern food today is that it’s very clean. So, the huge benefit is that it’s clean and we’re not getting all these food-borne illnesses that people use to catch all the time and die from. The bad part is that it’s so clean that all the good microbes are being cleaned off of our different foods and fruits and vegetables that we’re eating. So, what we can do is very easily make some fermented vegetables in the comfort of our home or we can actually go and buy them. So, kombucha which is a fermented tea is very good. Sauerkraut which is fermented cabbage. Yogurt, fermented dairy. Kimchi, pickles or kefir. 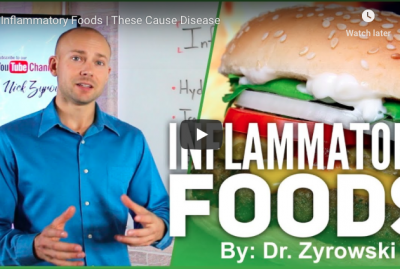 When we look at a lot of gut conditions or people who are suffering from gut conditions, typically the dairy, like the kefir and the yogurt may not sit well with them. However, in general, for a healthy person it’s great. The other thing that I want to mention here too, when we look at sauerkraut and kimchi and pickles, much of the stuff that you’re going to find in the store is actually just vinegar based. What that means is that it’s not fermented, it’s actually just put in vinegar which gives it that fermented-like taste and feeling. So, if we want to make sure that we’re getting the benefits, we have to make sure that we are actually buying the real deal fermented stuff. As a matter of fact, what I’ll do is throw a little bonus in here. In the description of this video, I will put an e-book that we have available that actually goes over the benefits of fermented food but also how to make all these different fermented foods right in the comfort of your home because they’re very inexpensive to make. However, they’re a little bit more pricey to buy. So, if you were to look at vinegar-based sauerkraut versus fermented sauerkraut, huge price difference. Anyway, fermented foods are powerful because you’ve got to get those good bugs, those microbes into intestines because they’re very important. They play a huge role in overall body health but intestinal health as well. The next here is ginger. Ginger is very anti-inflammatory. It also is very good for soothing and healing the gastrointestinal tract. And then the last here is pumpkin seeds or pumpkin seed oil. What we look at here when we see pumpkin seeds or pumpkin seed oil is the fact that it has a very high zinc content. Zinc is very powerful for healing the gut and so we want to make sure that we get those high levels of zinc and you’re going to get the most out of pumpkin seed oil. 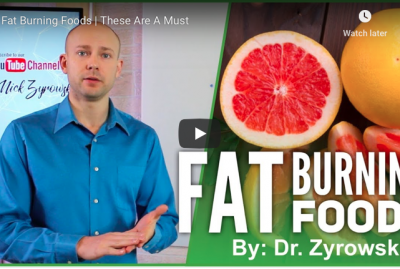 When we look to really going in eating foods that are going to really help our gut lining, really help with the process of reversing damage within the gut, these are some really powerful alternatives to turn to. Like I said, it’s about having the whole package. It’s not just about supplements. It’s not just about food. It’s really about doing all these things together to create a lifestyle and a good environment for your gut health to thrive. Here’s the deal, it’s important to incorporate these and not necessarily all of them at once and not necessarily all of them every single day. It’s really just important to add a couple in a week, a couple in every single day. Maybe one a day would be a really great way to start. If you incorporate these foods in, over time, you’re going to find that your gut health becomes better and better. And the big thing is you want to actually protect yourself from actually getting all these different conditions that I talk about – small intestinal bacterial overgrowth, leaky gut, Crohn’s, ulcers, all these different problems. So, this is going to really help you with that. Be sure to go into the description below and check out all the different resources for the videos, the download, everything. If you have any questions, put it in the comment section below here, give this video a thumbs up, and if you haven’t done so yet, subscribe to my channel here. I’d greatly appreciate it and check out all the other videos that I’ve done on how you can improve your health.